The Ruislip Lido Railway is a 12 in (305 mm) gauge miniature railway around Ruislip Lido in Ruislip, 14 miles (22.5 km) north-west of central London. Running from the main station at Woody Bay by the lido's beach, on a 1.02-mile (1.64 km) track around the reservoir, the railway passes through Ruislip Woods to Willow Lawn station and Tea Room near the lido's car parks. Willow Lawn station was previously known (until summer 2013) as Ruislip Lido (Water's Edge) station. The line is the longest exact 12 in (305 mm) gauge railway in the United Kingdom. There was formerly a terminus at Eleanor's Loop, and the site of this station (now disused) can still be seen. Another former terminus at Haste Hill is now a request stop station for trains heading to Willow Lawn only. Haste Hill became a temporary terminus of the line again in early 2013 owing to major works at Willow Lawn station associated with the Lido redevelopment programme. The Woody Bay to Eleanor's Junction (renamed from Eleanor's Loop in February 2017) section of the railway features a double track, with a passing loop at Haste Hill thereby allowing two-train operation. There is a level crossing between Haste Hill and Willow Lawn stations. Originally built by the Grand Union Canal Company over a much shorter route, the line has been extended in recent years and now covers over two thirds of the perimeter of the reservoir. Following several years of decline under the ownership of the local council, the railway has been operated by a voluntary society since 1979. 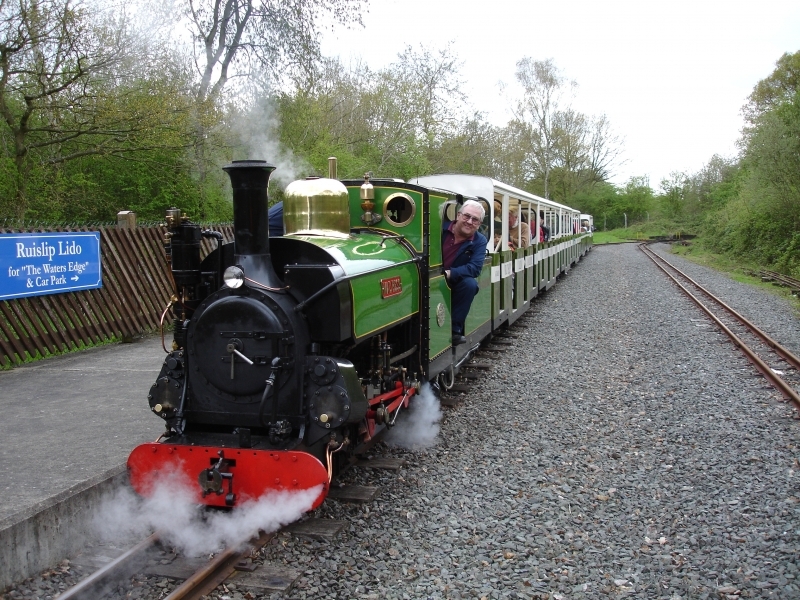 Please give us your overall rating for Ruislip Lido Railway.